Tunisia’s International Book Fair sets new attendance record at halfway point. But is digital the next big step for Tunisian publishing? With all the attention focused on London, Bologna and preparations for New York, you could be forgiven for thinking that the rest of the global publishing industry had been put on hold for Q2. The reality is rather different. Around the world vibrant book fairs and festivals are attracting huge crowds, largely unnoticed by the western publishing sector. the annual Tunis event is setting its own record this year. 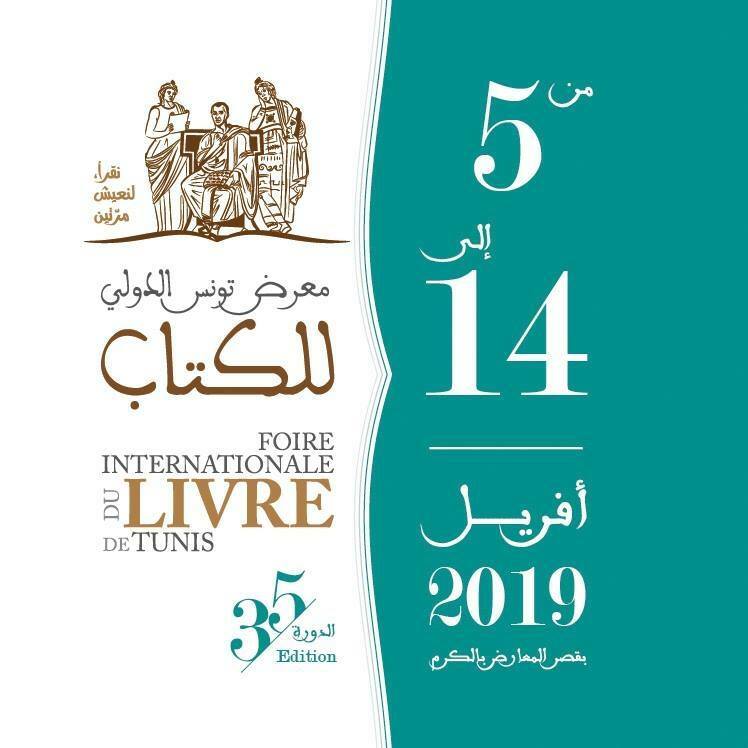 Normally 40,000 is the order of the day for the Foire Internationale du Livre de Tunis, but the 35th incarnation this year has already seen 50,000 pile in at the halfway mark. The event runs from April 5 through 14 and with several days still to go this is already the third (at least) Arab book fair attendance record to fall this year. On offer are the books of 319 publishing houses from 24 countries. With FIL Tunisia’s twitter account down we’re reliant on Facebook for the latest from Tunis. Hopefully we’ll also see more updates on the FIL Tunis website soon. Curiously while the Tunis International Book Fair has been going for 35 years, there has only been a Tunis national book fair for one. The Tunisian Book Fair debuted in October 2018 at the Tunis City of Culture under the direction of Tunisian author Mansour M’henni with the remit to get Tunisian books in front of Tunisian readers. When visitors go to the international book fair, they do not pay that much attention to the national books but, rather, focus on foreign publications and international book publishers and books. This is how the idea of promoting Tunisian books came about. It comes also as a part of a whole new cultural policy that seeks to promote and encourage Tunisian production for its role in the cultural and economic development of the country. The Ministry of Cultural Affairs dedicated the year 2018 to the Tunisian book and doubled the budget devoted to publishing and supporting Tunisian books. The City of Culture was also inaugurated this year, which also inspired the idea to hold a fair for the Tunisian book in this new cultural compound. In taking on the role of directing the Tunisian Book Fair M’henni brings a breath of fresh air to the Arab book fair scene, where the interests of different parties often are in conflict. One example is that book fairs are an arena for publishers and booksellers to display their wares, and indeed are the very reason for the fair’s existence, but booksellers are understandably resistant to the idea of digital books. There are no permanent channels to distribute Tunisian books in the Arab world. The literary production is important and the number of writers is increasing greatly. The government is also supporting writers and books as well as publishing houses. Tunisian books and writers are present in all international fairs in the Arab world but there is no strong strategy of communication by publishers. Tunisian literature remains a literature with a purpose and a mission but how can we share this project with others and how can we get the others involved? Writers need to find the right channels to attract the attention of readers to carry their project with them. The digitalisation of the world cannot leave the world of print and literature unscathed. I personally chose for years to publish only in Tunisia and today I realise I was unfair to myself. Lately, I published my books in France and Egypt. French publishing houses rely on the digital tools to sell the product. We need to abandon our traditional methods. Today, we have publishing houses that print 3,000 copies, which are left unsold. We must find a mechanism to engage the reader through the digital world and the use of digital platforms. We need to use all possible means to get the book closer to the readers. In other sectors, digitisation is moving fast in Tunisia. Last month TNPS reported on how Orange Tunisie is working with the education authorities to bring digital content to schools. With almost 8 million people online Tunisia is poised for a vibrant digital books market to emerge.